SocialNature has a new campaign! Sign up for a chance to try out So Delicious Non-Dairy Frozen Dessert! 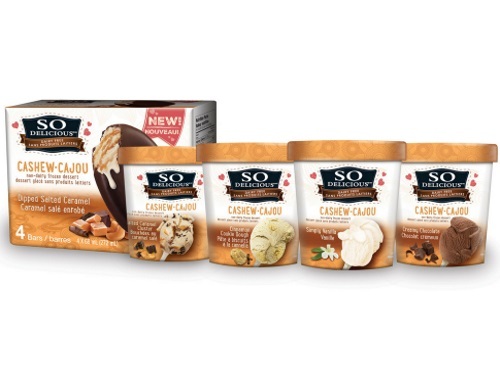 Get a voucher for a Free So Delicious non-diary cashew frozen dessert (Value $5.99 - $6.99). Try new flavors like Cinnamon Cookie Dough, Simply Vanilla, Creamy Chocolate or the fan favorite Salted Caramel Cluster! To sign up, click on he link below, and select "Want It" and then fill out the short survey. If you are chosen, you will get an email from SocialNature. Not a SocialNature member yet? Read more about it here. Want more Free Samples and coupons? Complete the 2017 Shoppers Voice survey here.